And the piles of laundry just seem to be never ending, week after week, after week. Isn't doing several loads of laundry fun? 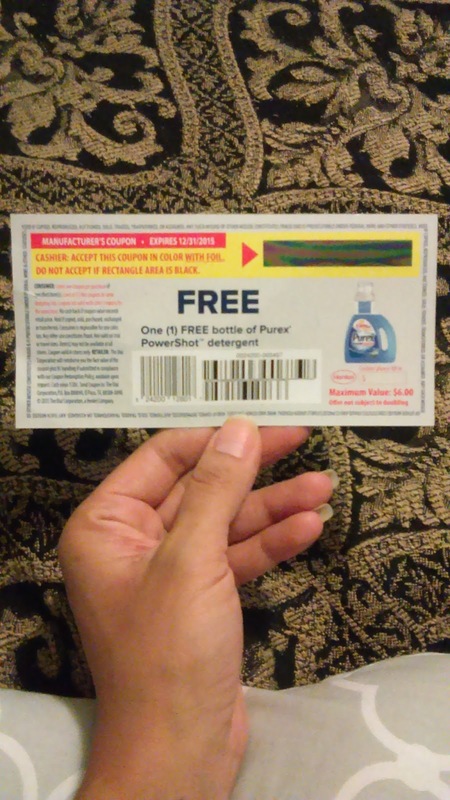 Purex PowerShot, along with some $1.50 coupons to share and a couple of coupons for a giveaway, which I will talk about at the end of this post. It is now one of my favorite laundry detergents and it comes in such a uniquely interesting no-spill detergent bottle. What you do is make sure the bottle is closed correctly, flip the bottle upside down, (it will dispense the amount you need for one load) and then flip back over. Open and flip upside down over washer. Do this twice for larger or heavier soiled loads. I think that the scent is really nice. The one I received is Mountain Breeze. This is one of the only laundry detergent that has a potent enough scent that I can still smell after the clothes are out of the washer and dryer. This detergent is also available in Linen & Lilies. In this giveaway, TWO winners will receive 1 coupon for a free bottle of this easy measure liquid detergent! Free to enter the rafflecopter below. Must be 18 or older to enter. Two lucky people will be chosen by random.org and contacted via email. Winners will have 48 hrs before new winners will be chosen. You can also enter the latest sweepstakes from Purex right here!